I want to cue you in on something, no one ever needs more than three (that’s right three) handbags. The classic tote, cross-body, and clutch work just fine. 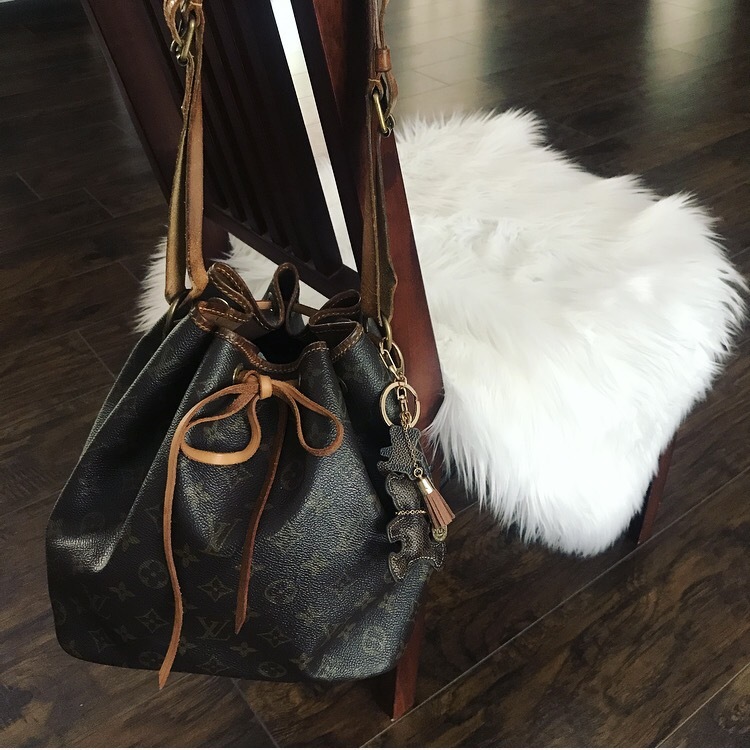 Now ask me why I decided to get a Vintage Louis Vuitton Petit Noé Bucket Bag and I’ll say this doesn’t count because it’s a want, not a need 😜. I had my eye on my second vintage Louis Vuitton for some time. If you have seen my post on my first LV High On Saint Cloud 9, you will know how particular I am about bag buying. Again, I didn’t want the bag that I see people carry all the time, nor did I want something that would fall away with trends. 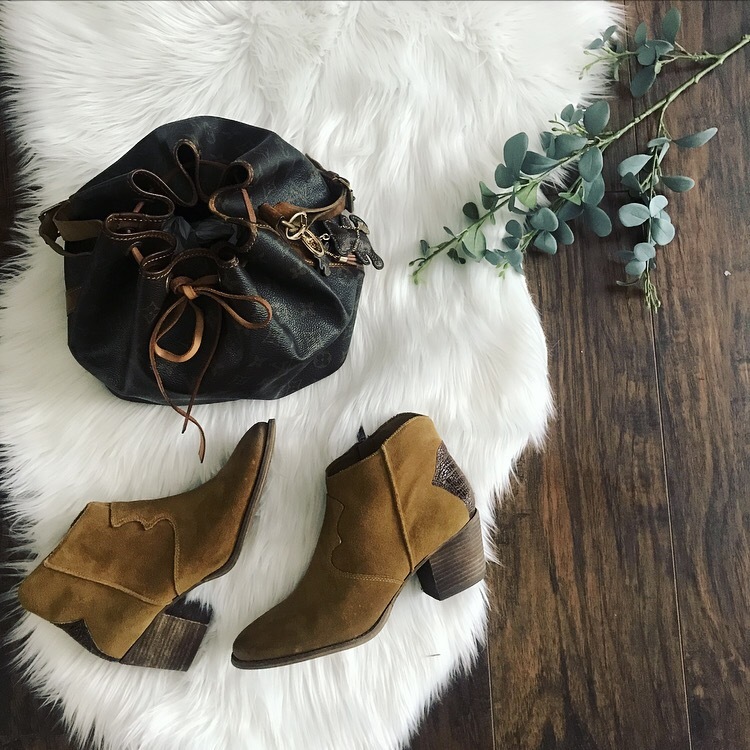 This bucket bag serves the very purpose of being a classic as well an easy throw on and go for me. I found it for a great deal at tradesy.com, one of my favorite places to shop authentic designer brands besides therealreal.com. It was made in 1985, my birth year, which is one of the reasons I purchased this particular bag. I did a ton of research before buying as well. The original design of the Noé has a fascinating history. It was originally developed when a champagne house contracted LV to make a bag that could carry 6 bottles of champagne! My model is the PM which is one of the smaller of the line, but I’m pretty sure I can get some baby bottles in there lol! Jk jk, baby bottles go in the diaper bag. Another cool thing is that the name “Noé” is French for Noah. This bag is a historical marker to the Noah from the Bible who loaded The Ark with animals two-by-two. It also is a marker of when Noah first exited The Ark after the flood and planted the vineyard and drank too much wine. Who knew so much could go into one bag? I really enjoy this bag because it has freedom of shape. It is a different style of bag for me since I am used to interior pockets and zippers and my bag has absolutely none of those features. However, I do like how it’s easy to carry, and the sparsity of the interior nooks and crannies can easily be remedied with a purse insert. I can’t wait to carry it around more and more! What’s even better is my other LV has a big sister now lol! Hooray for bag siblings lol!!! !